Monday – 30th June 1894: Tower Bridge is opened by the Prince of Wales. 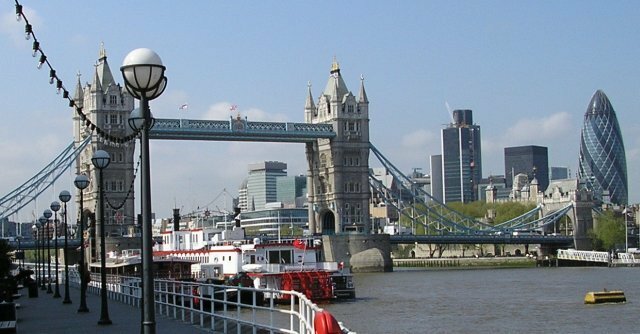 It would become an iconic symbol of London, and arguably the most well-recognised ‘bascule bridge’ in the world (even if tourists do sometime mistake it for London Bridge). Tuesday – 1st July 1858: Charles Darwin’s theory of natural selection is presented at the Linnean Society at Burlington House, Piccadilly. Wednesday – 2nd July 1865: One-time Methodist minister William Booth preaches to a large crowd at an open-air ‘mission’ in Whitechapel, founding the ‘East London Christian Mission’, which would later be renamed ‘The Salvation Army’. Thursday – 3rd July 1981: A punk concert at the Hamborough Tavern in Southall, West London, leads to fighting between skinheads and Asian youths. The riot is just one of many violent ‘uprisings’ to take place that year. Friday – 4th July 1829: London’s first scheduled bus service is introduced by coach-maker George Shillibeer, inspired by his work on a fleet of coaches in Paris. The ‘omnibus’ service runs between Paddington and the Bank of England, providing four daily services in each direction, each of which capable of “accommodating 16 or 18 persons, all inside”. It is thought that Southwark’s name was derived from the Anglo-Saxon 'Suthringa Geweorc', or ‘South-Werk’ – a defensive burgh built during the time of King Alfred to protect London from Viking raids. Forecasters seem to think that the week will start off with decent weather prospects, whilst likely deteriorating with falling temperatures and sporadic rain as the weekend approaches.